Who loves Disney? Better yet who loves Disneyland? Well, I’ve got some magical news to share! Not only am I sharing a spooky Halloween shirt, but I’m linking out to 8 other fabulous treats and treasures to celebrate a fun SoCal vacation giveaway. Book with code MOMSENSE to save $10 off a Southern California vacation package. This time of year marks one of the most magical season in the park. Before the mouse rolls out the Merriest time of year, we get the Spookiest time of year. AND this year there’s double the fun because California Adventures is joining the tricks and treats this year. This time last year we were getting ready for our very first trip for Mickey’s Halloween Party. The whole family got in on the fun with a ZOOTOPIA costume theme. This year a trip isn’t in the cards for Halloween, but that doesn’t mean we can’t enjoy a little Disney Halloween magic at home. 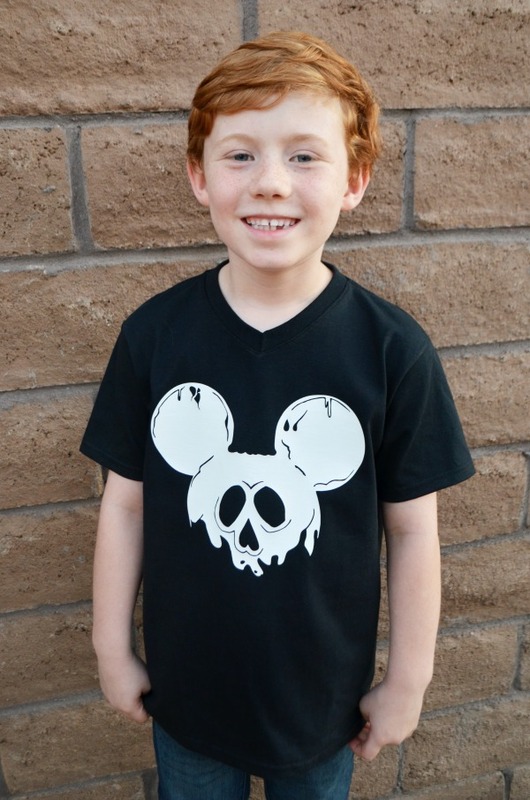 First up, a hand-drawn design for Poison Apple Mickey Shirt, but keep scrolling for more fun AND a giveaway where one winner has a chance at their very own Southern California vacation! Grab the design and size to your shirt. 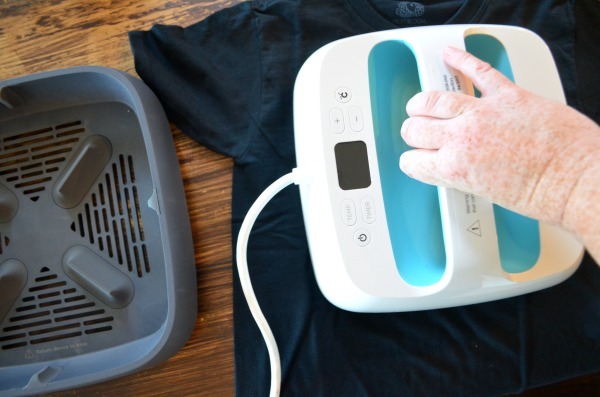 Cut with your favorite electronic cutting machine. Press the design onto the shirt. I tested out the Cricut Easy Press for this project. A great addition to my new favorite crafting hobby, shirt designs. 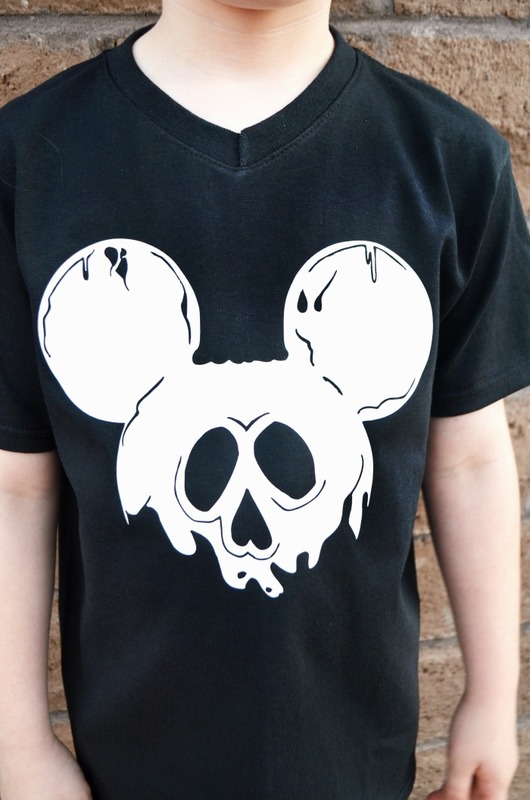 Now you’re ready to scare up some fun at Disney! 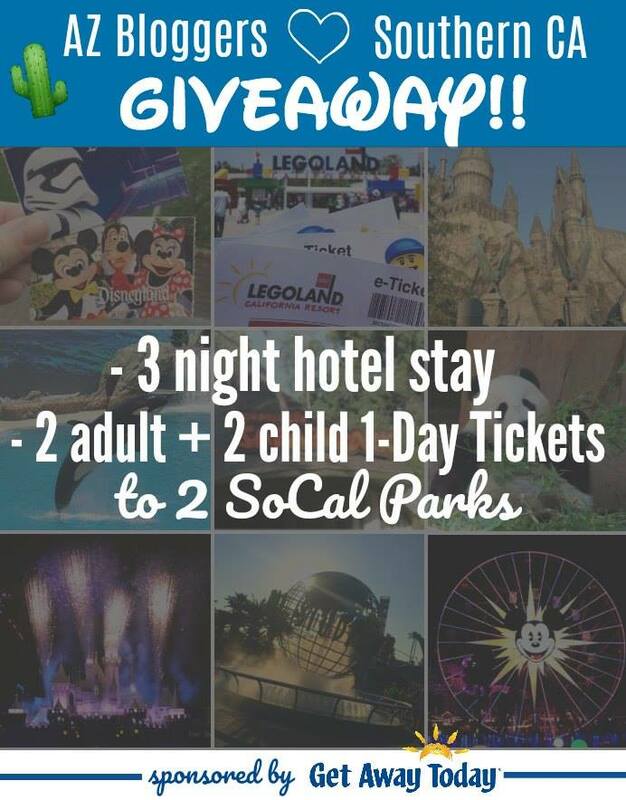 AND just in time for October Break, we’ve got an amazing Southern California vacation Giveaway. Enter using the rafflecopter below. Sound great?!?! Now how about some Disney inspired food and crafting fun. These not so scary treats and crafts from my fellow AZ bloggers will get you excited about Halloween Time at Disneyland. We love visiting my cousins! DIsney of course! its my favorite when we get to Cali! I have not been to Southern CA yet but I’m sure Disney would be wonderful. I also like to visit the San Diego Zoo Safari Park. Southern California is the best vacation spot! I loved the San Diego zoo! We have gone a couple of times and just visited San Diego and stayed by the beach! i’ve never been to California, so I don’t have a favorite place to visit yet! My favorite place in southern california is either disneyland or angels stadium! Honestly I’ve only gotten to come to southern LA for work so I don’t really have a favorite place yet. I’ve been wanting to visit for fun though so winning this would make a great reason! We have never been to Cali before but i would have to say Disneyland would be a favorite if we ever go!! Disney is our favorite “ happiest place “ in the world! I haven’t been but I REALLY want to go to Universal Studios Hollywood! I LOVE roller coasters and am eager to try theirs! I have never been to Southern California but I would have to say my favorite place is probably Disneyland. I have only been once when I was little 🙂 I loved Universal. I love Disneyland: it is the happiest place on earth! I grew up in Anaheim, used to watch the fireworks from my back yard and actually share Disneyland’s birthday. I’ve only been to LA once on a overnight flight layover. We didn’t have enough time to go outside of the airport to the Hilton where we stayed for the night. My favorite place is SD.. So much to do. They have baseball, Lego land, sea world, hiking, the beach, Sea port, and somuchb more. Our new fave place is Great Wolflodge. I was surprised that we enjoyed it as much as we did. Disneyland is definitely one of my favorite places to visit. I like Knott’s Berry Farm too. My favorite place is Disneyland, of course! I haven’t been to SoCal since I was 4. I would love to check out Disneyland!! !